Hey, y'all and happy July! Over the past months, I have been really struggling with creating a website for my shop and finding what I like since Etsy released that their fees would be increasing. In the process of creating a Shopify account (which is very confusing and did not have as many options as I wanted) I accidentally deleted my style blog when trying to move over the domain. While I was a bit heartbroken that three years of my blog was gone, I also took it as a sign that it was time for it to disappear. I have been focusing more on my accessories business instead of my blog, by selling online and selling at local markets, and I thought that maybe it was meant to be. Then, I started having great blog post ideas. Then, I began looking into Squarespace (where I originally hosted my blog) and their commerce options and found that I liked it waaay better than Shopify. So, I'm back! AND, I can blog occasionally on my shop's website (which I could do with Shopify but the image quality was horrible). 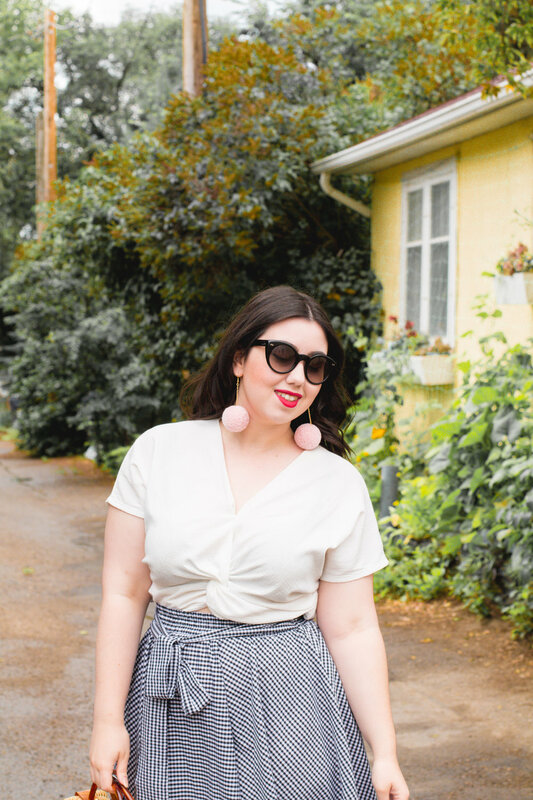 So look out for occasional style posts, posts on how to style pom pom earrings, and my wish lists and favourites from other small businesses!